﻿﻿﻿The Fabulously Fit Program is an 8 week Fitness and Weight Loss Program which was created by divine inspiration, JUST FOR YOU! It would help you begin your journey to achieving and maintaining a healthy weight through dietary changes which proceeds to a lifestyle that includes healthy eating, regular physical activity, and balancing your calorie intake. ﻿ You may have repeatedly set some health, fitness and weight loss goals for yourself to achieve year after year but you look back and you wonder how much time has gone by and you are not making much progress with your goals. You may have started off well but got off track, feel stuck or struggling to keep the motivation going. You didn’t plan to fail but you failed to plan. Your goals cannot be accomplished without a plan and if they are not S.M.A.R.T - specific, measurable, attainable, realistic (relevant to you) and time bound. Research shows that people who received support and accountability from a coach or a support system achieved their goals more than those who didn’t. It's difficult to see the picture when you're inside the frame. Sometimes it takes working with a coach to begin to identify self-sabotaging habits. A coach helps you with forward movement, to set goals and take actions to achieve them. They’ve walked the road before you and achieved the goal you’re striving for; they have faced the same struggles so they can share ideas, tips and experiences that will help you along the way. The goal is not to drastically change your diet but to take small steps that will eventually accumulate and translate into the big changes you desire. The unwanted weight will be coming off too but it would be through a life changing process. You’ll also experience transformation in other areas of your life in addition to the weight loss and getting back in shape. You see, aside from the excess weight in pounds or kilograms, there are other weights from different incidences and experiences that we have carried on through different stages of life but haven’t identify that it is self-sabotaging. Therefore the Fabulously FitProgram is also a spiritual journey as you would also work on losing the spiritual fat i.e. emotional baggage, burdens from the past or anything that’s preventing you from that moving forward into your destiny. It will provide the support and accountability needed to achieve your weight loss goals. The journey can get lonely at times and that extra support goes a long way. One of the Biggest Challenge with weight loss is the “Want To” not the “How To”. At the end of the 8 weeks you will have a healthier and fit body with new healthy habits, a mind that’s set to make healthy choices, a rejuvenated spirit. Imagine having a life which has rewards like fewer visits to the doctor, longer life, reduced medical expenses, happiness and increased energy. You can begin to live your best life if you act now. 1. 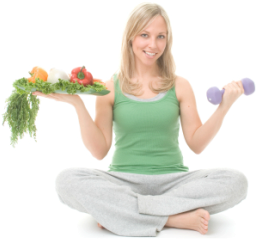 The nutrition approach is a step by step process that will revolutionize your lifestyle and transform your body. It includes weekly life changing nutrition exercises to help you achieve your nutrition goals, emotional well-being goals and your overall weight loss goals. 3. Create a nutrition and fitness plan that works for you and your family to help you achieve your health and fitness goals. 4. One 60-minute private strategy call with Ade every 2 weeks. The calls are to make sure you are making progress, discuss your challenges and celebrate your victories. It will provide the added support and guidance you need during the challenge to stay focused on your health and fitness goals. You will receive an MP3 file for each recorded session. 5. Learn how spiritual fitness is an important component to your physical fitness thru fasting and a devotional guide. You would also receive customized bible scriptures relating to area of struggles for meditation. You will the audio version of It’s Time Fitness - Body Declarations. The “Body Declarations” are powerful and spirit filled confessions that have the power to transform your spirit, soul and body. 6. Weekly Nutrition Exercise, Fitness Challenge, Emotional Wellness and Spiritual Connection via email to help you reach your healthy weight and attain your personal health and wellness goals – spirit, soul and body. The entire program is valued at $500 but for a limited time, I’m offering the Fabulously Fit Program to you for $350. I constantly add more value to the program by introducing new elements so the price will not stay the same for too long. ﻿SCHOLARSHIPS: For a limited time, a $100 scholarship is now available to applicants who have financial constraints and are applying for the Starter Level Program ONLY. ﻿BONUS OFFER﻿: Celebrating your progress a big part of the process. I believe in celebrating every step of the way. So for making the step to invest in yourself by making a commitment to the Fabulously Fit Program, you will receive a 60 Day Devotional and a journal. During the program, I will monitor your weekly progress via what you record on the Food Diary App and make suggestions that will help you get better results. On completion of the Fabulously Fit Program, you will receive a complimentary unique and irresistible T- shirt to inspire and encourage you to stay healthy, fit and fabulous. A $100 value, all yours for free! 5. One 60-minute private strategy calls with Ade every week. The calls are to make sure you are making progress, discuss your challenges and celebrate your victories. It will provide the added support and guidance you need during the challenge to stay focused on your health and fitness goals. You will receive an MP3 file for each recorded session. 6. Learn how spiritual fitness is an important component to your physical fitness thru fasting and a devotional guide. You would also receive customized bible scriptures relating to area of struggles for meditation. You will the audio version of It’s Time Fitness - Body Declarations. The “Body Declarations” are powerful and spirit filled confessions that have the power to transform your spirit, soul and body. 7. Weekly Nutrition Exercise, Fitness Challenge, Emotional Wellness and Spiritual Connection via email to help you reach your healthy weight and attain your personal health and wellness goals – spirit, soul and body. 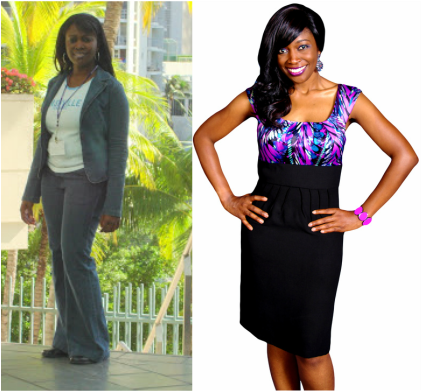 The entire program is valued at $750 but for a limited time, I’m offering the Fabulously Fit Program to you for $450. I constantly add more value to the program by introducing new elements so the price will not stay the same for too long. **Bring a friend or family member for half the price of the Access Packages. Payment for both parties is due at registration. Are you ready to get back in shape and shed the excess weight but have financial constraints? Pls consider applying for our limited time scholarship.